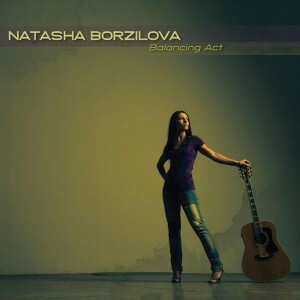 Natasha Borzilova’s newest release “Balancing Act” has been warmly received by Folk DJs reporting to the Folk DJ chart. The album was #9 out of the top 65 albums for the month of October 2010 while Natasha was #8 in the artist chart along with folk icons such as Judy Collins, John Prine, Bob Dylan, Pete Seeger as well as artists such as Dar Williams, Justin Townes Earle and Robert Plant. Her songs “Ghost’ and “End of September” made a showing in the singles chart at #9 and #16 respectively. The Folk DJ chart of October was based on 13215 airplays from 151 different DJs worldwide with many of the shows broadcasting on college and local public radio stations. To view the chart click here and then click on October 2010 airplay.